Soccer is a game which is made for players with killer survival instinct, they have to be strong mentally and be able to cope with everything else which surrounds the game and remain consistent. One player who represents all these traits and still stands tall is Irish legend Roy Keane. The former Manchester United an Ireland captain’s career has been marred with brilliance and controversy at the same time. However one thing no one can take away from Keane is that he is without a doubt the most mentally tough soccer legend ever to grace the game. Keane is the inspiration behind Manchester United FC’s success over the past nine years. A relentless, aggressive midfield general, Keane has epitomized United’s winning approach on the field – at times bringing him into trouble with referees, other managers and, of course, the Football Association. Keane currently serves as the assistant manager of the Irish national soccer team. Roy Maurice Keane was born in 1971 in Cork, Ireland into a working class family. In order to meet ends his father worked numerous jobs from working in steel factories, to clearing dumpsters to breweries. In the beginning a nine year old Keane developed a liking towards boxing even training for many years. However soon he realized it was soccer where his heart truly lay and soon started playing for Rockmount, a junior’s youth club in Cork. At Rockmount he was voted as the Player of the Year within his first season. 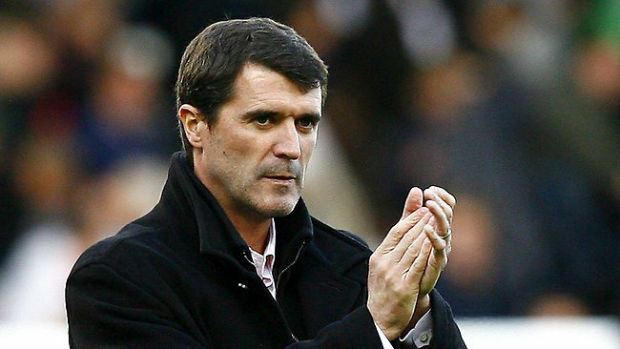 Initially, to the surprise of many today, Keane struggled to get picked by English clubs. By the time he was 14 Keane was working various different jobs while trying to get picked by a club. Cobh Ramblers was his first professional club, Keane played for them for a year before moving on to Nottingham Forest in 1990. He also became well known for his fiery confrontational manner both on and off the soccer field. During Keane’s 18 year long playing career, he played for Cobh Ramblers, Nottingham Forest, Manchester United and Celtic. Keane was a dominating defensive midfielder noted for his aggressive and highly competitive style of play, an attitude that helped him excel to the position of a captain at Manchester United in 1997. It was a title he held onto until he left Manchester United in 2005. Since joining the club in 1993, Keane helped United achieve a sustained period of success during his twelve year tenure at the club. Keane also represented Ireland for 14 years as captain which included the 1994 FIFA World Cup. He is regarded as one of the best defensive midfielders of his generation. In 2004 Keane was named by Pele in the FIFA 100 list of the world’s greatest living players. In 2007 he was ranked 11 in The Times list of the 50 hardest working footballers in history. He was the FWA Footballer of the year in 2000. He has been the PFA Players Player of the Year in 2000 as well. Keane was inducted into the English Football Hall of Fame in 2004.